If you were one of the richest people in the world, then how would your dream house look like? If you want to live big, you have to earn big. Most of the people will never get to live in their dream house but it is always fun to see how some richest people live. This list contains a mansion, castles, ski lodges and a skyscraper. Scroll down and read more on Most Expensive Houses in the World that are even more luxurious than your dream house. The Promised Land is owned by the most influential person in the media field, Oprah Winfrey. According to market value, this Georgian style 23,000 square foot mansion is estimated at $90 million. The house has over 600 rose bushes with a tea manufacturing house and all other lavish features. In 2008, Ekaterina Rybolovlev bought this mansion from Donald Trump in $95 million. The 33,000 square foot mansion is the most expensive single family house in the city. The house is located near the Palm Beach. It features 18 bedrooms, a winter garden and several other rooms for various purposes. In 2011, a tech entrepreneur Yuri Milner bought a 25,545 square foot mansion in Silicon Valley for $100 million. Milner is the founder of Digital Sky Technologies and an investor in Facebook. This house was designed by Manion Architectural & Planning Group and formerly owned by Fred Chan. The house features nine bedrooms, a game room, ballroom, an indoor pool & spa and several guest rooms. One57 is a 75 floor skyscraper located in the Manhattan city in New York. It is 306 meters in height and developed by Extell Development Company. Now it is the tallest residential building in the New York and holds several records. Many apartments on the top floors are sold at around $115 million, making it the most expensive single residential apartment. The Copper Beech Farm is located in the Greenwich, Connecticut and was once the most expensive house in the US. It is named after the massive copper beech trees grown in the backyard of the house. Recently in April 2014, Johm Rudey sold this house in $120 million. The 50 acre house was built in the 1890s and has 12 bedrooms, tennis court, heated pool and numerous gardens. The Fleur de Lys Mansion was designed by Richard Robertson III for multi-billionaire David Saperstein and his wife. The house is 45,000 square foot in area and located in the Holmby Hills in California. This $125 million mansion features twelve bedrooms, in-house theater, a ballroom and a 1200 meter running track. 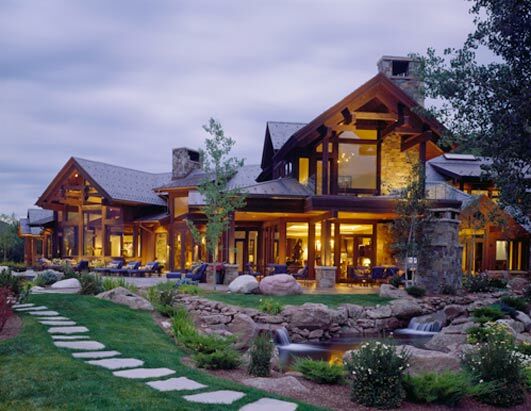 The Hala Ranch is $135 million estate and located in the Aspen in Colorado. Former ambassador to the US, Prince Bandar bin Sultan give this house a name “Hala Ranch” which means “Welcome” in Saudi. John Paulson bought this lavish house from Prince Bandar in 2012. The house covered an area of over 95 acres and has reflection pools, fishing ponds and all other luxurious features. This house also has its own sewage treatment plant. Bran Castle is a national monument located in Romania built in 1212 by the Teutonic Knights. It is also known as Dracula’s castle and used as a home of a character in Bram Stoker’s Dracula movie. The Bran Castle is $135 million estate with 57 rooms, 17 bedrooms and antique furnitures. Now the castle is a museum open to tourists, filled with art by Queen Marie. Updown Court is a residential situated in a village of England. It has a total of 103 bedrooms built on 58 acres of lands and the construction costs $138 million. In 2005 it was the most expensive home in the world. It features almost everything from a private cinema, tennis court to a big garage that can fit up to 8 limousines. The Manor is a mansion located in the Holmby hills near Los Angeles, California. It is the largest home in Los Angeles constructed in 1988 and currently owned by Petra Ecclestone. This $150 million house has 123 rooms, cinema, bowling alley, tennis court, swimming pool and a beautiful spa. It also has a parking lot that can accommodate up to 100 cars. 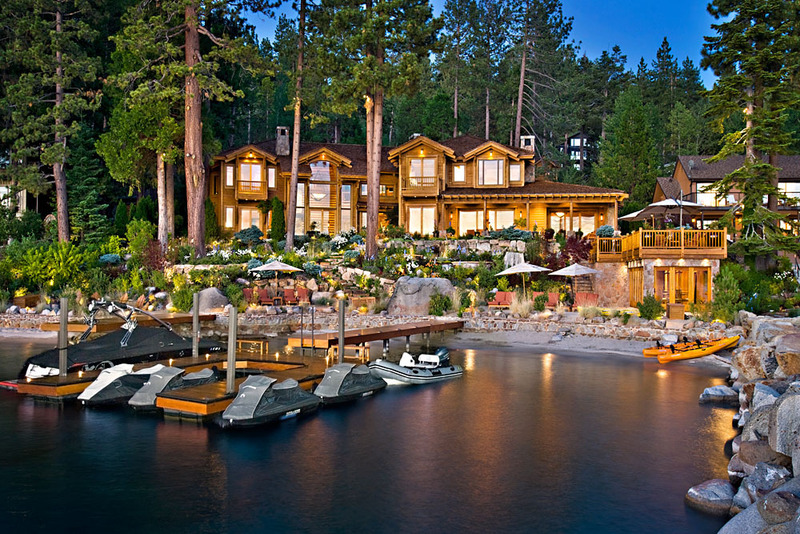 The Pinnacle Montana is one of the most expensive houses in the United States. It is made with a heated floor that provide their guests comfort and warmth in the mid of the freezing Montana weather. This house owned by Tim and Edra Blixseth that worth $155 million. Moreover, it features fireplaces in bathrooms, gym, massage room and ten luxurious rooms. The Franchuk’s Victorian Villa is $161 million estate located in London, United Kingdom. It was built as a school for girls but currently owned by Lebanon’s developer and Musa Salem. It has many luxury amenities such as a swimming pool in the basement, a private cinema and a large garage space. 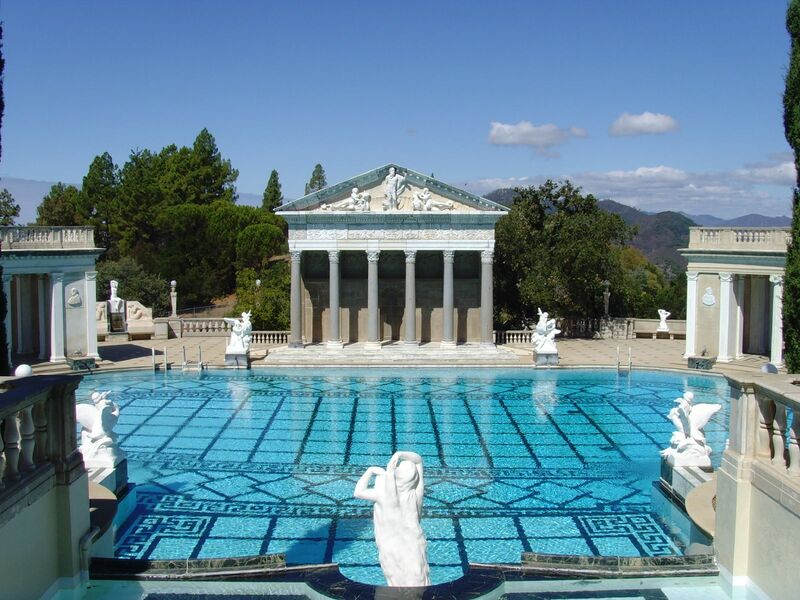 The Hearst Castle was built by the US newspaper tycoon William Randolph Hearst and currently owned by Leonard Ross. This $190 million estate has 29 bedrooms, 3 swimming pools, movie theater, tennis court and a nightclub. This castle was used in the filming one of the popular movie “Godfather” and it was also the place where the former US president J.F. Kennedy spent his honeymoon. The Oracle founder, Larry Ellison spent $200 million on his 23-acre Japanese style estate in California in 2004. He is known as an enthusiastic home buyer because he has numerous expensive houses in America. It has ten buildings with bath houses and man-made three acre lake. In 2013, the property price goes down and was accessed at only $73 million. The Fairfield Pond is owned by Ira Rennert, spread over 63 acres of land and the largest residential in the US. This $220 million estate is known for its private bowling alley and a $150,000 hot tub. It also has 29 bedrooms with 39 bathrooms, five tennis courts and a basketball court. The Kensington Palace Gardens is a street in the UK with some of the most expensive property. In 2004, Indian steel tycoon, Lakshmi Mittal buys the most expensive house on the street in $222 million. The house has 12 rooms, Turkish bath and parking for 20 cars. The best thing about this house is its marble which is taken from the same place that supplied the Taj Mahal. This is surprising but The Penthouse is not a mansion or castle, it is a flat worth of $225 million, located in London. It is the most expensive flat in the world that offers magnificent view of central London. It also has many spa, squash rooms and even it has its own wine tasting room. There are many security features such as bulletproof windows, iris scanner and a panic room. The White House is the official house of the President of the United States. It was designed by James Hoban and completed by the year 1800. The White House has six floors and 55,000 square foot of space with 132 rooms and all luxurious facilities. At the time of construction, the cost is reported at $230,000 and now it is estimated at $320 million. Every year, more than one million people go to White House as visitors. 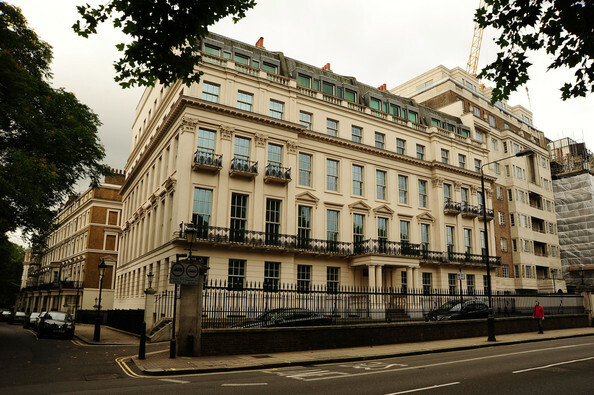 The Hariri London Mansion was built as four separate homes for different families and later they merged it into one luxurious house. This seven floor building has 45 rooms and spread over an area of 60,000 square foot. It breaks several property records in London with $484 million. It is expected that there are millions of dollars’ worth of gold decoration in the house. It is also expected that the windows are bulletproof. The Villa Leopolda is located on the French Riviera, spread over 20 acres of ground. It is the most expensive mansion in Europe with total worth of $750 million. The most exciting feature is its private beach. It also has 11 bedrooms with 14 bathrooms, huge garden and a swimming pool. Now Villa Leopolda is home to Mikhail Prokhorov who is the owner of the basketball team “The Brooklyn Nets”. The Antilla is a residential complex built by Mukesh Ambani, owner of Reliance Industries. It is the most expensive house in the world with total worth of $1 billion. The 27 floors Antilla was designed by Perkins and Will and can hold on up to 8 Richter scale earthquakes. It has everything that a person wishes to have, including a health center, Krishna temple, bar and library. This house has 6 floors just for parking space and a staff of 600 for maintaining the residence. What’s The Maximum Gravity Human Could Survive On Other Planets? Correction to the list of houses. The Pinnacle in MT was never built and one can say it was merely a PR ploy. The house that should go in it’s place is Porcupine Creek, Rancho Mirage CA owned by Larry Elison. You need to furnish your knowledge John! !